CT-ALIVE’s Never Going Back to Abuse Project will benefit from the proceeds of a Clothing and Book Drive on Saturday, October 19, 2013 to mark October as Domestic Violence Awareness Month. In cooperation with Charities of Hope of Hartford, CT-ALIVE will hold the drive from 9 a.m. to 1 p.m. in the parking lot of the Dillon Mailing and Printing, 114 Shield Street in West Hartford, across from the Shield Street Post Office near New Britain Avenue. On that day, CT-ALIVE and Charities of Hope will accept gently used clothing as well as shoes, boots, coats, linens and comforters. Also accepted will be books including hardcovers and paperbacks, CDs, DVDs, audio books and textbooks. Please no magazines, VHS tapes, catalogs or encyclopedias. For more information about clothing drive, contact Susan Omilian, CT-ALIVE Project Director, at ct-alive@comcast.net. CT-ALIVE is a Connecticut non-profit corporation which is tax-exempt under Section 501 (c) (3) of the IRS Tax Code. Your tax-deductible donations enable CT-ALIVE to help women who have been abused heal, grow and move forward! 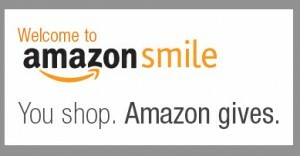 AmazonSmile is a simple and FREE way for you to support CT-Alive’s victim services every time you shop, at no cost to you! Donate Books for a Cause! Funds raised through donations will benefit the projects of CT-ALIVE helping victims of violence grow, heal and change. You can save $$ on your electrical bill and help support CT-ALIVE's innovative services for women who have been abused. The more power you use, the more you save and the more CT-ALIVE earns as a Discount Power broker! It's a win-win situation for all! !